By unveiling the Cayman GT4 in 2015, Porsche embarked a new chapter of its sports car saga. The queue of thrill didn’t stop with this and got followed by 911 GT3 and GT4 RS. 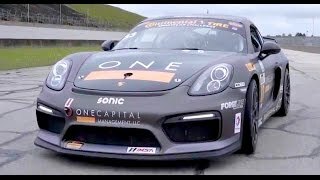 However the 2016 production version model Porsche Cayman GT4 Clubsport 2016 released at 2015 Los Angeles Auto Show gained commendable appreciation. 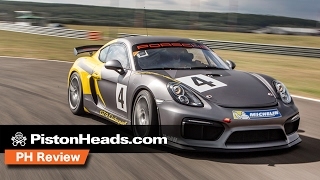 Let us have a look at the review of Porsche Cayman GT4 Clubsport 2016 to know in detail. The interior of Porsche Cayman GT4 Clubsport 2016 isn’t something you found in road version. Racing bucket seats replace the standard seats and come with integrated six-point harness and welded-in safety roll cage. The dashboard integrations are more about saving weight. Unnecessary organs are removed like the center console, floor mats, door panels and few other convenience features that we had in road going version. Even the instrument cluster behind the flat bottom three-spoke steering wheel isn’t like the one we saw in standard model. 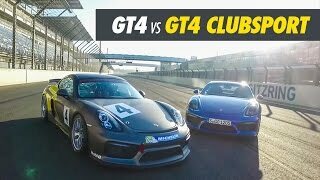 In all the interior details of Porsche Cayman GT4 Clubsport 2016 is all about race and performance, so expecting some funny junk inside will be a wrong decision. Unlike the interior, exterior of Porsche Cayman GT4 Clubsport 2016 has very few changes in comparison to the road-focused model. However it does have some changes that upon a close notice will narrate the differences. Starting with the front fascia things are almost same apart from the hood which gets a pair of pins to keep it in place. Apart from this everything else remains same, making the model like the standard version. Being loyal I don’t find any harm in this as ‘what’s good is can be carried forward’. Another change that I noticed in exterior is with set of 18-inch multi-spoke lightweight wheels wrapped in Michelin tires. 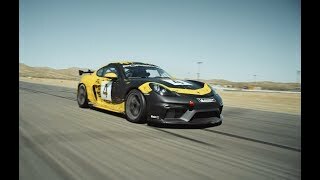 Thus rounding up the exterior details of Porsche Cayman GT4 Clubsport 2016 I would just say, expect things like the standard version, apart from the hood pins and wheels. 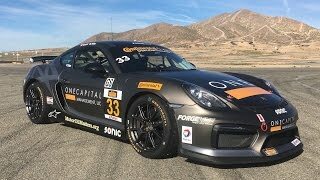 Powering the track-version Porsche Cayman GT4 Clubsport 2016 is a 3.8 liter flat-six engine ranking total output of 385 hp. The engine comes paired to six-speed Porsche double clutch PDK transmission. The performance figures of Porsche Cayman GT4 Clubsport 2016 including the top speed and sprint time are yet to be shared. However talking about the presumptions, I expect the knock out time of latter to be in less than four seconds.